According to Vedic Astrology, Rahu and Ketu is admitted as two powerful planets. Although astronomically, they do not exist. As we believe that Rahu and Ketu have a strong impression on our lives, they are indicated as mathematical points while making calculations in Vedic Astrology. In Hindu tradition, Rahu is the severed head of an asura called Svarbhānu, that swallows the sun causing eclipses. He is depicted in art as a serpent with no body riding a chariot drawn by eight black horses. 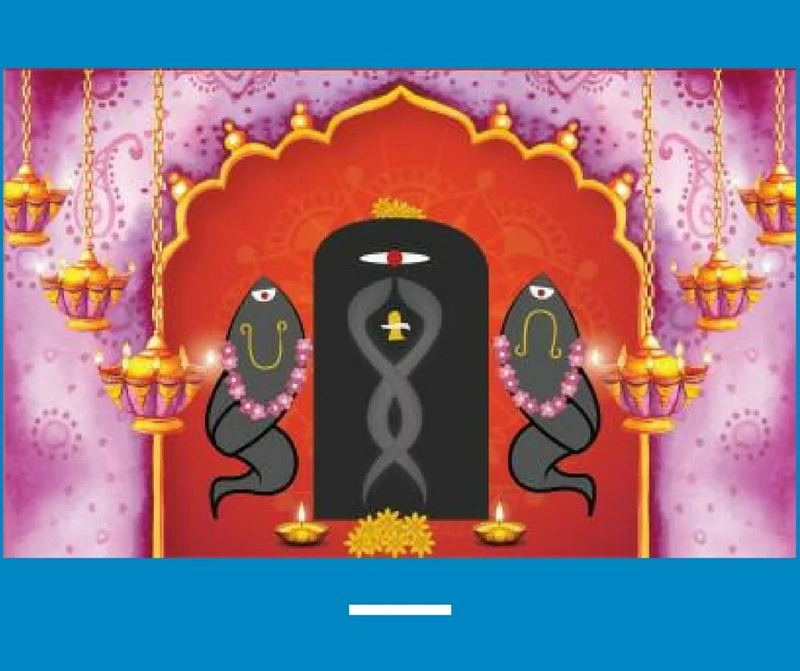 The time of day considered to be under the influence of Rahu is called Rahu kala and is considered inauspicious. Ketu is the descending lunar node in Vedic, Ketu is generally referred to as a “shadow” planet. It is believed to have a tremendous impact on human lives and also the whole creation. In some special circumstances it helps someone achieve the zenith of fame. Ketu is often depicted with a gem or star on his head signifying a mystery light. This story connects to the great churning of the ocean by the Gods and the Demons to take out elixir of life. Lord Vishnu was afraid and wanted to ensure that the elixir should not reach to the hands of Demons, if so then they would destroy the world. So, Lord Vishnu came in the form of Mohini. The demon Swarbhanu caught the trick and He took the form of a god and settled himself in between Sun and Moon. In that moment before the Demon could drink the elixir, Sun and Moon identified him. Sun & Moon went to Lord Vishnu & he got Angry cut off his head with Sudarshan Chakra. By that time he took some drops of elixir down his neck , that’s why both the head and body became immortal. That is the only reason we call this Demon as Rahu who has the body of a serpent. Rahu occupies the head of the serpent , And rest of the body part we call as Ketu as per Vedic Astrology. However, Rahu and Ketu never forget to take the revenge from Sun and Moon for exposing them. Therefore, they became the causes of eclipses. a) Illogical b) Harsh speech c) Out caste d) a person who does’t follow the religion e) visit to a foreign country f) Unclean g) Bones h) Lower abdominal ulcers i) Human Falsehood j) South western direction k) serpents body l) Old age m) Maternal grand father n) Worship of Vana Durga o) Writing Urdu or Persian (Because these two languages start from right hand side, written in reversed manner, Rahu and Ketu’s movement is always retrograde. p) Breathing Problem q) Acute duodenal ulcer pain. It is Noted that a strong or exalted Rahu is good for the above mentioned significations and weak or debilitated Rahu plays just the opposite role. a) Worship of Chinnamasta & Ganesh b) Medical practitioner c) Saint d) Dumb person e) Consumption f) Painful fevers g) Bath in holy river or Ganges h) Great penance i) Wind complaints j) Tantra – Mantra Shastra k) Instability of mind & body l) Diseases of the stomach and eye m) Vedanta n) Grandfather o) Small pox or boils p) A servant q) Association with foreigner or Shudras. It is Noted that a strong or exalted Ketu generally gives good result and a malefic or debilitated Ketu creates lots of hindrances in life. Rahu is said to be in its own House when it is in Virgo. It is said exalted when placed in Taurus while it is debilitated in Scorpio. However, as per Parasara, Rahu is also Exalted and Debilitated in Gemini and Sagittarius respectively. It is said that Rahu gives Yogkaraka result if it is in Cancer. However, it is to be noted that being a Shadow planet (Chhaya Grah) it gets influenced with the associated planets & gives results based on other planetary influences. If Rahu is with benefic or in benefic influence it gives very good result. It is generally considered as a good planet for worldly comforts. In Present times Rahu represents Laptop, Computers, Internet and Mass Media. Rahu is friendly to Jupiter, Venus and Saturn. It considers Sun and Moon as its enemies and towards Mercury it is Neutral. Ketu is exalted in Scorpio and debilitated when in Taurus. However, as per Parasara, Ketu is also Exalted and Debilitated in Sagittarius and Gemini respectively. It is to be said that Ketu is more towards spiritual, Saint, Yogi, Tantrik Guru, side and whereas Rahu is more towards worldly pleasures. it is to be noted that being a Shadow planet (Chhaya Grah) it gets influenced with the associated planets & gives results based on other planetary influences. If Ketu is with benefic or in benefic influence it gives very good result. Remember that whatever we have discussed here in this article as per Vedic Astrology, these are general predictions. Rahu-Ketu’s actual effect on your life may vary, as per their actual presence in your Personal Horoscope. And only a Best Astrologer can read and rectify the problem from your Vedic Horoscope.